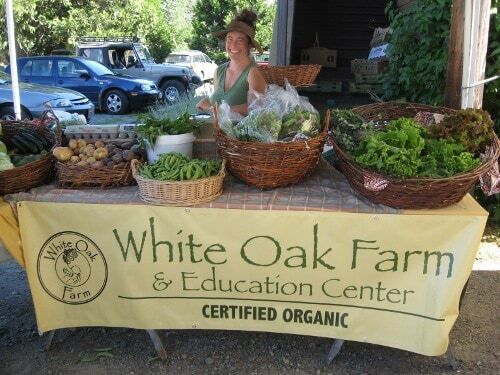 Taylor Starr (Executive Director) – Taylor is a founder and Executive Director of White Oak Farm & Education Center. He has been involved in all aspects of the Farm’s agricultural and educational programs since it’s founding in 2002. Before moving to Oregon, Taylor worked as a farmer, landscaper, and teacher in Northern California and Washington State. He has taught children organic gardening, natural history, and life sciences, and taught college-level ecosystemology at UC Berkeley. 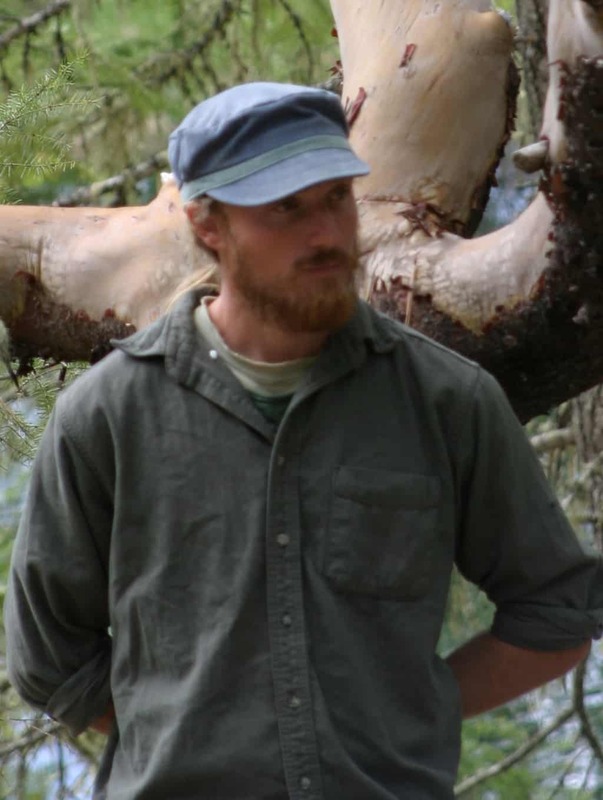 He graduated from UC Berkeley with a degree in Holistic Ecology in 2000. Taylor grew up near the shores of Puget Sound, where he developed a love of the natural world through annual backpacking trips in the Cascade and Olympic Mountains. He currently directs things at White Oak, farms a wide range of fruits and veggies, teaches permaculture and sustainable living skills to kids and adults, and learns about the world from his four year-old daughter. Sarah Shea Starr (Educator and Farmer) – Sarah has worked for the last eight years as a member of the White Oak Farm Children’s Education Staff. She served as Education Coordinator from 2008-2010, and has led groups of children from age five to eighteen in school visits and farm camps. Before working at White Oak, Sarah had extensive experience with children’s education ranging from preschool instruction to environmental education outreach. She specializes in gourmet cooking with organic home-grown ingredients, taking care of the farm’s sheep and goats, and teaching hand-crafts and nature-based arts, including work with wool, willow baskets, and textiles. Sarah graduated from the University of Colorado, Boulder in 1998 with a degree in Environmental Studies. She currently works on the farm as an educator and farmer, and is mother to Willow (age 4). year-olds, he discovered a love of sharing farming and wilderness with children through fun and engaging activities including games, songs, crafts, lessons, and work. 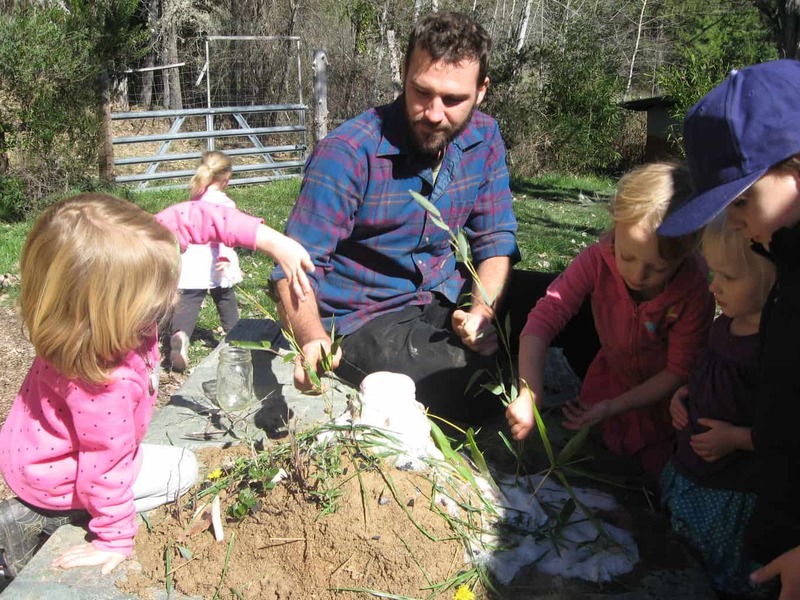 He has worked as garden coordinator for the Sequatchie Valley Institute, a non-profit dedicated to teaching permaculture and food skills to children and adults. For several years he worked in Kentucky as an organic farmer and food manufacturer, always sharing experiences through workshops and presentations on organic farming and fermentation. Brian feels very blessed to have the opportunity to live and work at White Oak Farm and Education Center, is grateful to everyone who has developed and supported White Oak, and looks forward to coordinating and continuing to develop children’s programs at the farm!